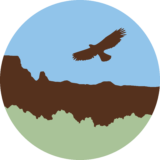 ONDA defends and restores Oregon’s high desert, working to permanently protect millions of acres of public land that is home to diverse populations of wildlife. Oregon’s vast and spectacular Owyhee Canyonlands are under threat from mining and natural gas development. Sign the petition to support protection for millions of acres of public lands in the Owyhee. © 2019 Patagonia, Inc. All Rights Reserved.